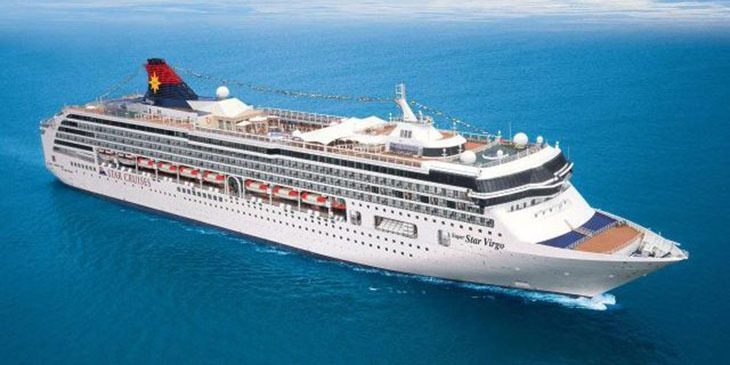 Nearly two decades since Star Cruises took delivery of the SuperStar Virgo, Genting Cruise Lines will transform the ship into the Explorer Dream, which will join the Dream Cruises fleet in spring 2019 as a pathfinder for the brand’s global aspirations. The SuperStar Virgo will undergo a US$30 million dollar transformation in March 2019 that will incorporate new facilities including The Palace, Dream Cruises’ signature, luxury private enclave featuring 50 suites and butler service. Guests will be able to enjoy new East-meets-West F&B options and a new Crystal Life Spa. Taking the first step to bring Dream Cruises outside Asian waters, in autumn/winter of 2019, Explorer Dream will homeport in Sydney and Auckland where she will embark on 21 seven-night itineraries. Explorer Dream will feature a multi-lingual crew conversant in English, Putonghua and other Asian languages and entertainment options reimagined to appeal to Asian passengers. With pre and post stays available in Sydney and Auckland, Dream Cruises’ seven-night itineraries in Australia and New Zealand is set to be an important cornerstone for Asian travellers who typically enjoy nine- to 14-day vacations when visiting “down under”. Starting October 27, 2019, there will be six sailings under the Queensland and the Barrier Reef Cruises itinerary, calling at Mooloolaba/Sunshine Coast, Brisbane, Newcastle and Gladstone. Tasmania Island and Melbourne Cruises will voyage on eight sailings from February 9, 2020, calling at Port Arthur, Hobart, Burnie, Melbourne, Phillip Island and Eden. And for North and South New Zealand Cruises, seven cruises will sail beginning December 15, 2019, calling at Wellington, Milford Sound/ Doubtful Sound, Dunedin, Napier, Bay of Islands, Akaroa, Picton and Gisborne. Around 13 million visitors currently visit Australia and New Zealand annually with about five million of this number from Asia, according to Genting Cruise Lines. Meanwhile, Explorer Dream is also expected to strengthen Dream Cruises’ brand in North China with homeports in Shanghai and Tianjin during Spring/Summer 2019 with a selection of voyages of various durations from Shanghai or Tianjin to Japan, Russia, Hong Kong and the Philippines. “Dream Cruises will extend its brand recognition to 300 million Chinese in Shanghai and Tianjin/Beijing next summer as well as offer cruises in Australia and New Zealand to its Asian-sourced passengers during winter 2019 – the first time Dream Cruises will be sailing outside Asia,” said Lim Kok Thay, executive chairman of Genting Hong Kong.